The name javelina comes from the Spanish word for javelin or spear and refers to the animal's sharp tusks. 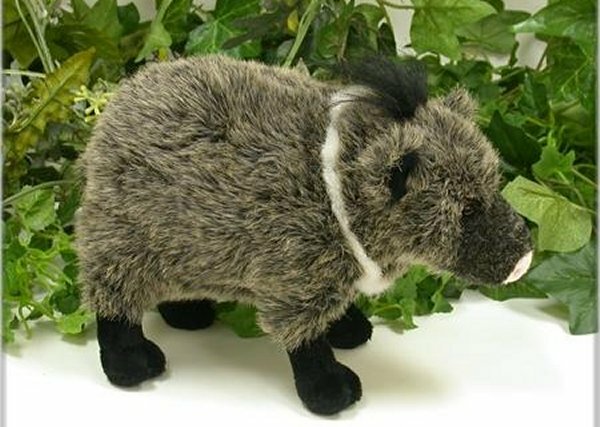 In Arizona, the javelina is also known as a collared peccary, because of the grayish-white band of fur around its neck. Javelinas live in family groups of 5 to 15 members. Tough, leathery snouts allow javelinas to eat cacti and other spiny desert plants without injury to their mouths.